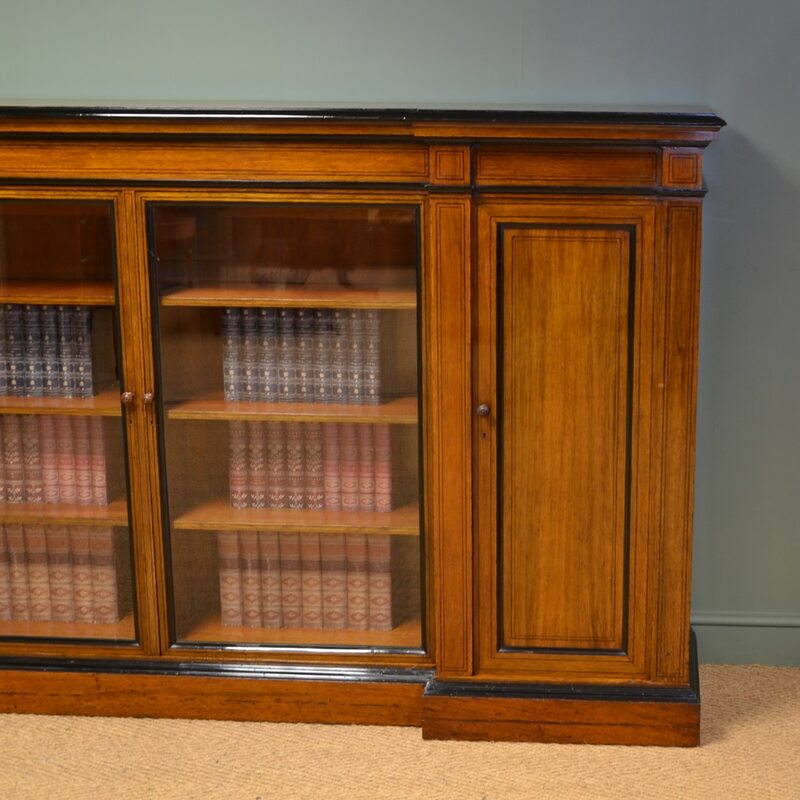 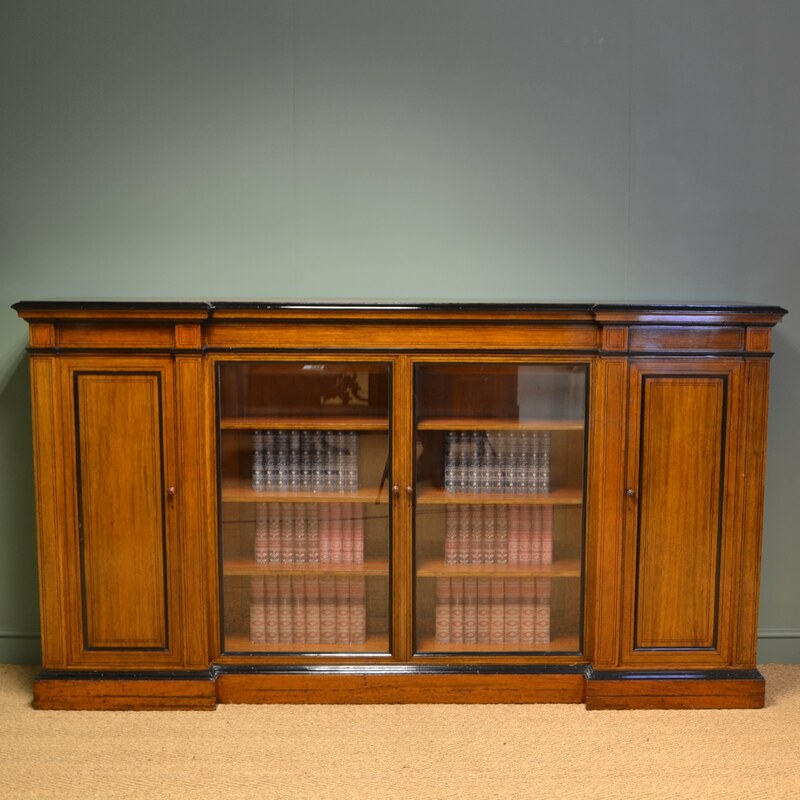 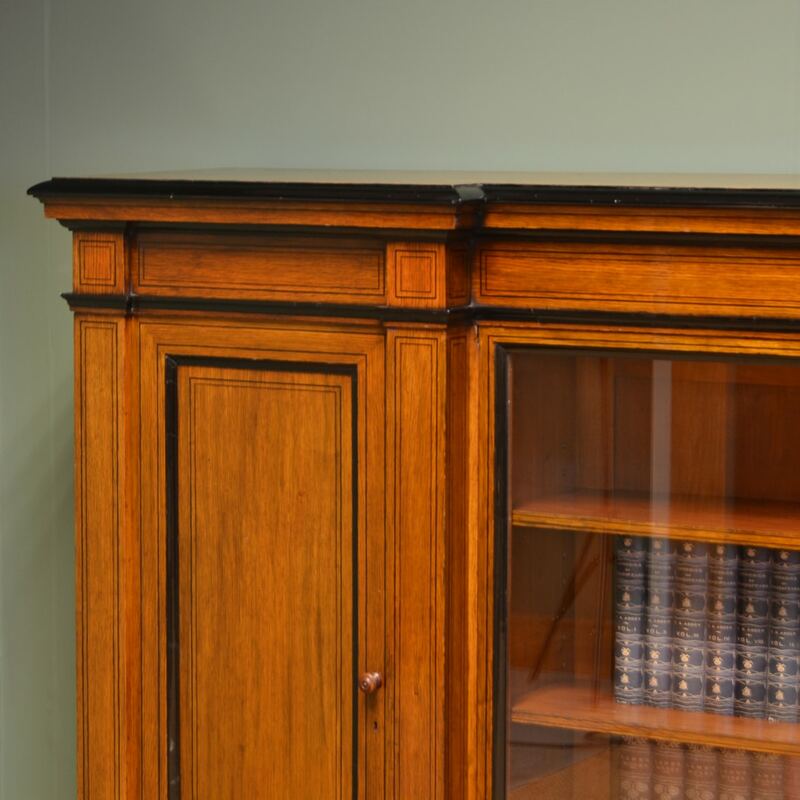 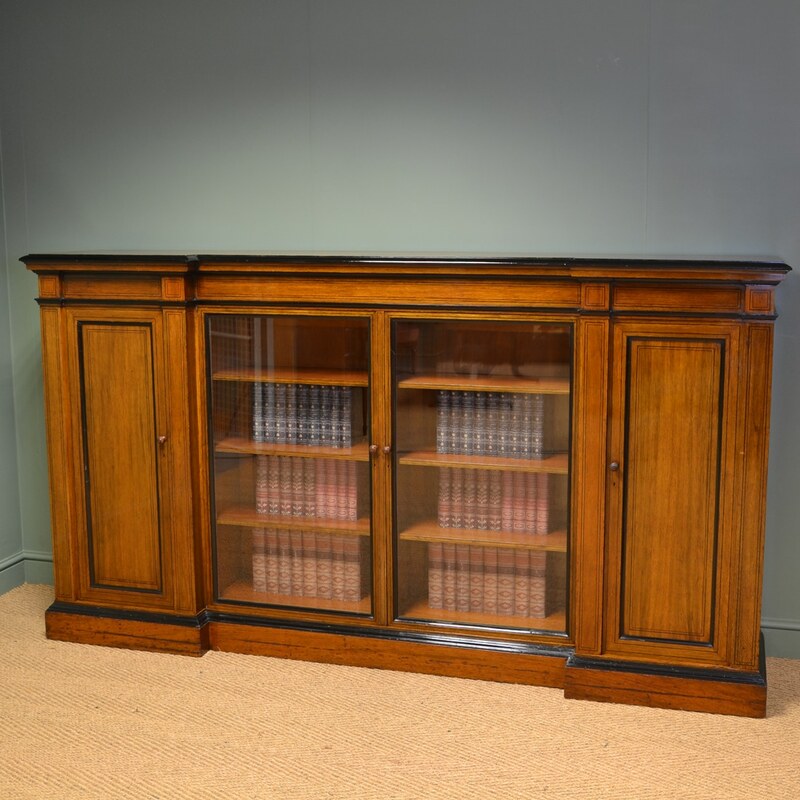 Attributed to George Bullock, Cabinet Maker from Liverpool, This Unusual and Practical Designed Bookcase / Cabinet is truly sensational and dates from around 1840. 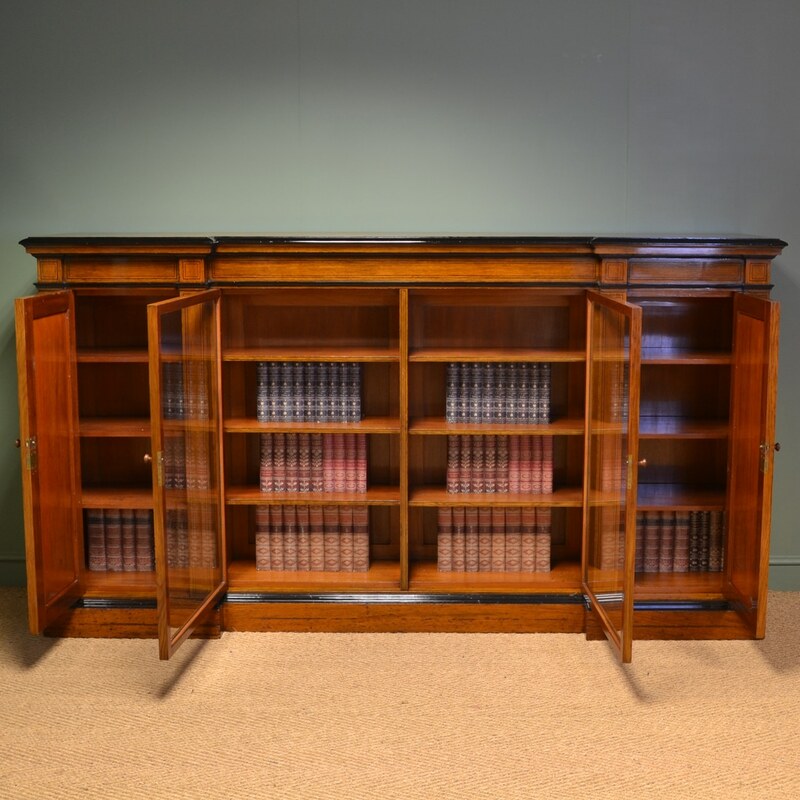 Attributed to George Bullock, Cabinet Maker from Liverpool, This Unusual and Practical Designed Bookcase / Cabinet is truly sensational and dates from around 1840. 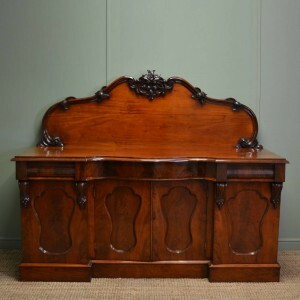 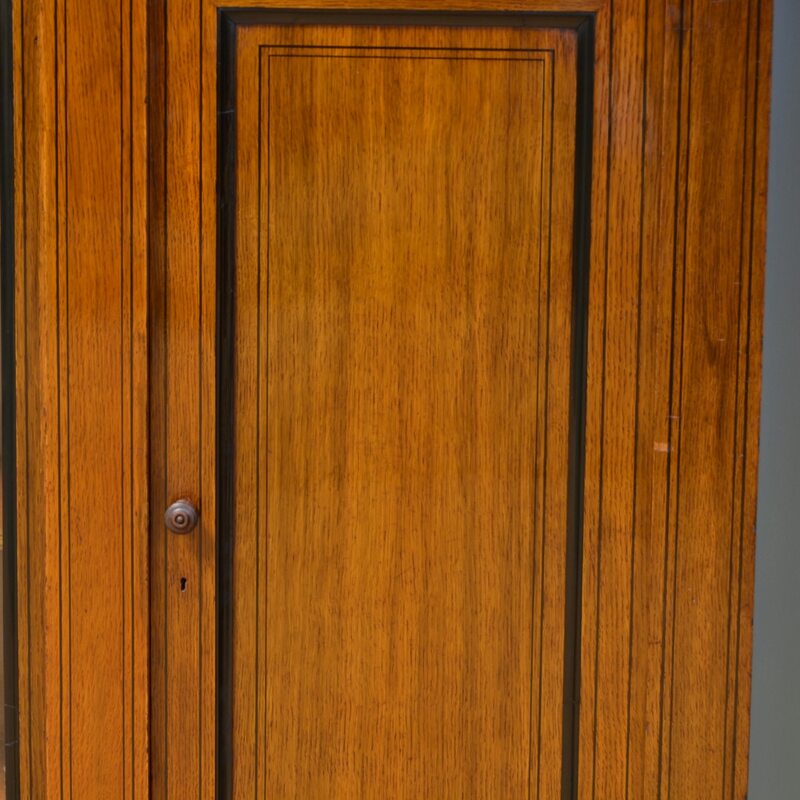 With the most stunning figured inverted break front top with ebonized moulded edge above four doors, the two central ones being glazed and the two outer doors have ebonised string inlay and beautifully turned handles. 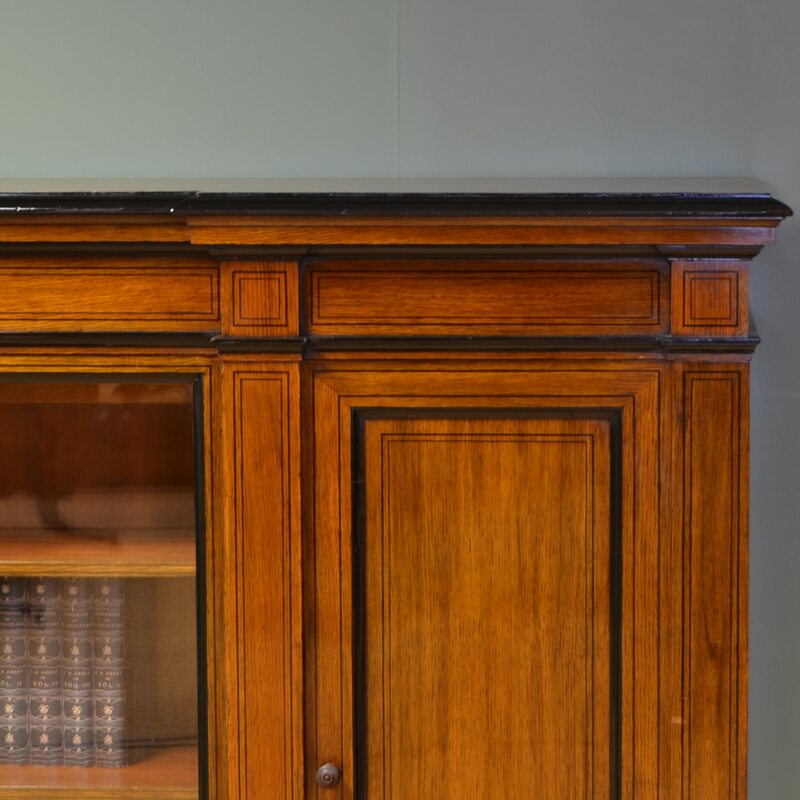 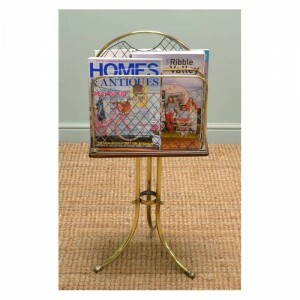 Each interior comprises of three adjustable shelves and the piece as a whole stands on an inverted break fronted plinth and splits into several sections for easy removal. 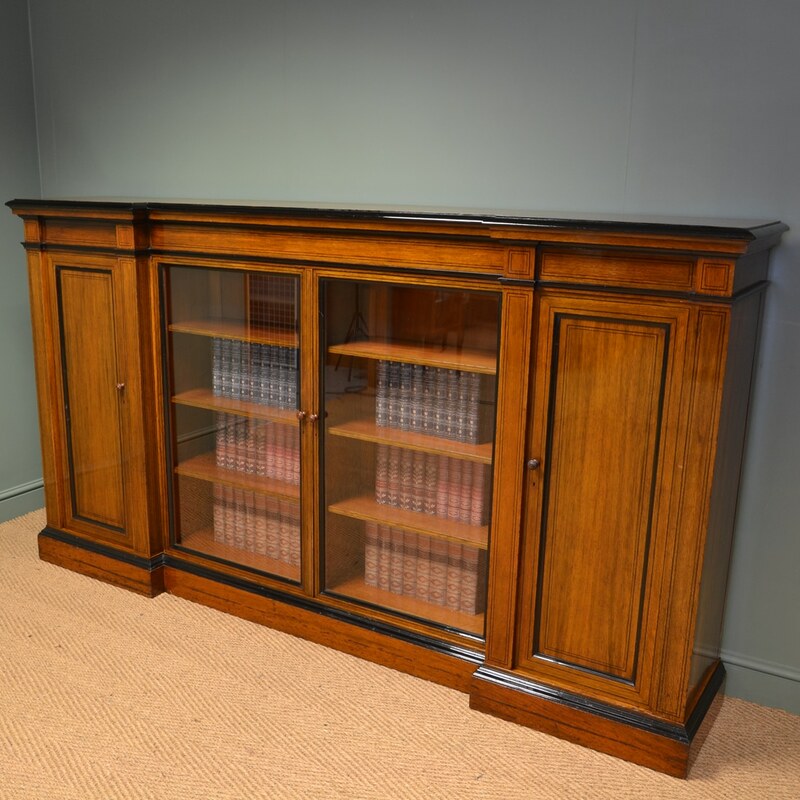 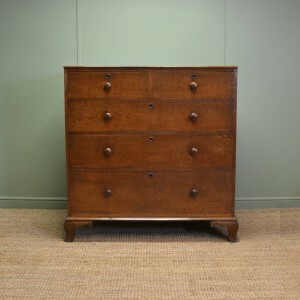 The oak has aged to a warm golden shade with a striking grain, good patina, is in very good condition and has been beautifully cleaned using a traditional form of wax finishing.